Hello fellow bloggers! I recently have been getting an outpouring of emails requesting to post on my site so I thought I’d do even better! I am so excited to announce that I am opening up the blog to contributors. Until now, Keep it Simple, DIY has had solely my content with the exception of a couple guest posts and sponsored posts that I’ve posted. Keep it Simple, DIY has over a 7500 social following and reaches over 10,000 people per month. 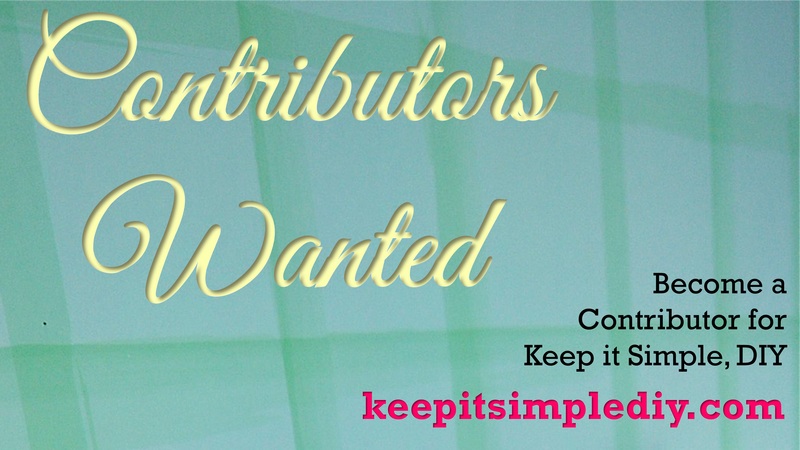 Contributors will receive their own log in to create posts and submit them for review. Each post will include an author bio and a link back to the contributors blog/website and will be published to Keep it Simple, DIY’s Facebook, Twitter, and Pinterest.